Polyamide (PA) supplier Evonik has acquired a US-based technology startup for 3D printing materials. Evonik says that this acquisition will provide it with access to a new patented technology that will allow it to expand its portfolio of polymer powders in the additive manufacturing (AM) market. The technology starts with a polymer granulate, which is converted to a fine powder through various process steps. This makes it possible to produce polymer powders with controlled particle sizes ranging in diameter between 0.1 and 400 µm, the company says. ‘The new technology allows us to take virtually any semi-crystalline thermoplastic, such as polybutylene terephthalate, polyether ketone, or polyamide 6, or polymer powders with specialized properties like color, conductivity, or flame protection, and produce them for common powder-based 3D printing processes, such as selective laser sintering, high-speed sintering, or multi-jet fusion,’ said Thomas Grosse-Puppendahl, AM at Evonik. 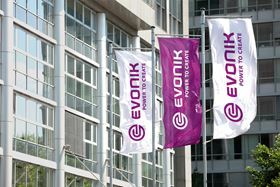 Structured Polymers will be integrated into Evonik’s North American organization, while its company headquarters will remain in Austin, Texas.